For me, I love sharing products that I love so they can enjoy the goodness too. Hence, one can never go wrong with innisfree best-seller products. Spread the joy of having moisture locked into your skin in just 3 seconds of application, thanks to the Dual Moisture-Rising Technology. The set comes with the most-hyped Green Tea Seed Serum (80ml), Green Tea Balancing Skin (15ml), Green Tea Balancing Lotion (15ml), and Green Tea Sleeping Pack (10ml). Make sure you look your best during Christmas with the Second Skin Masks. Formulated with natural fermented Jeju soybeans, the thin and soft mask sheet is able to deliver nutrients to your face effectively. 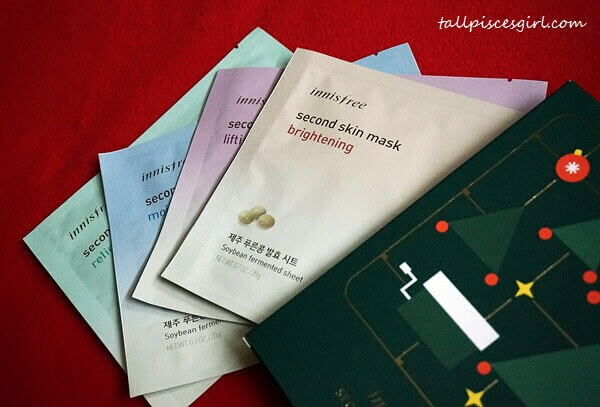 The set contains masks for Moisturising, Brightening, Lifting, and Relief. Start the year with a clean skin with Super Volcanic Clay Mousse Mask Set. 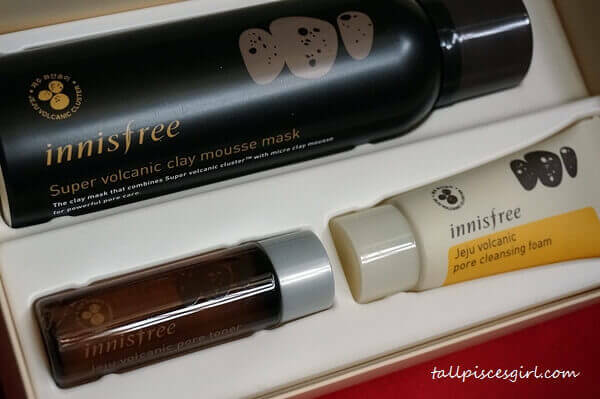 The set includes Super Volcanic Clay Mousse Mask (100ml) that contains pure and rare volcanic cluster from the pristine island of Jeju, Jeju Volcanic Pore Toner (25ml), and Jeju Volcanic Pore Cleansing Foam (30ml). This is especially recommended to those who have oily skin. 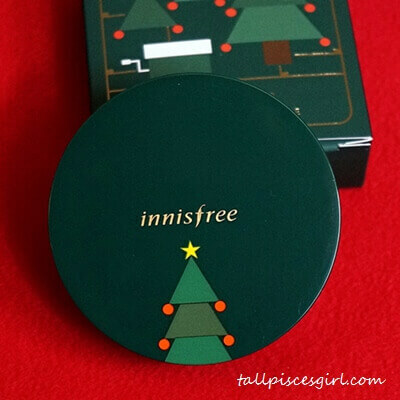 Can’t get enough of innisfree My Cushion? 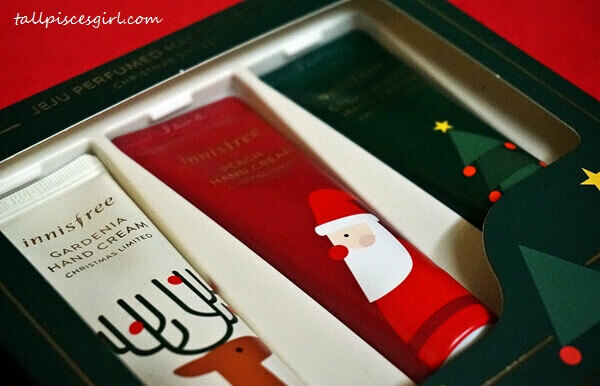 Fulfill your addiction with these 3 limited edition innisfree Christmas case designs. Choose between serene white with Rudolph or cheerful red with Santa! Next, don’t forget your nails! 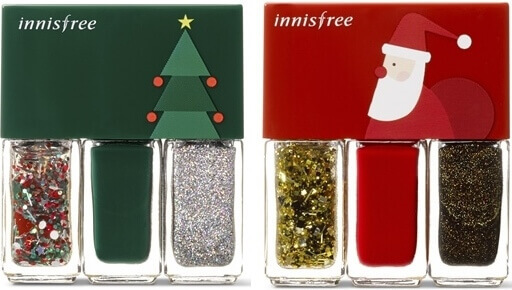 Use innisfree Christmas Real Color Nail Sets to get intothe warm spirit of Christmas. Each set comes with 3 Real Color Nail (4ml) and 2 Christmas Nail Deco Stickers. innisfree Perfumed Hand Cream Gift Set contains 3 tubes of hand creams rich in shea butter and olive oil that softly melts on your hands as it forms a natural hydration film. Gardenia, Peach, and Cedar Wood are scents inspired by Jeju’s natural wonders. 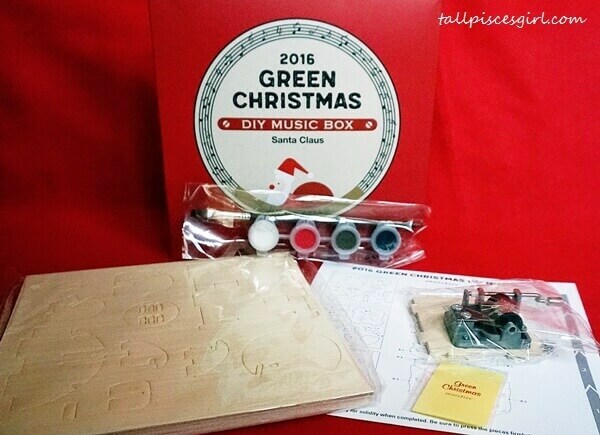 With any purchase of innisfree Green Christmas products, get a DIY Music Box for only RM10. Choose from Santa Claus, Rudolf or Christmas Tree design (while stocks last). 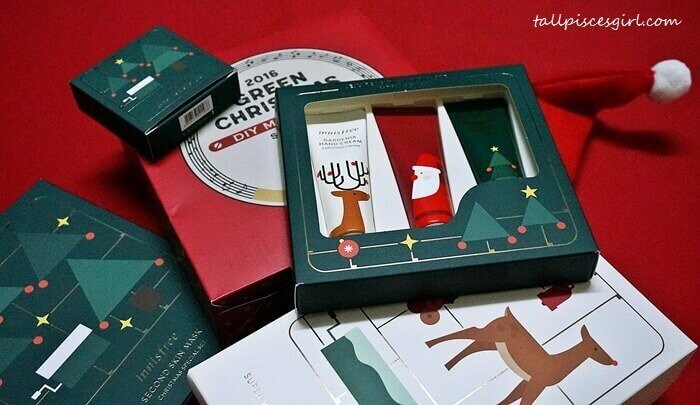 There are many more innisfree Christmas products to choose from so make sure you visit the stores and grab their special promotions!